Carrot Cake’s would have to be one my favourite cakes – rich, moist and hell you’re eating carrot so it’s practically healthy! 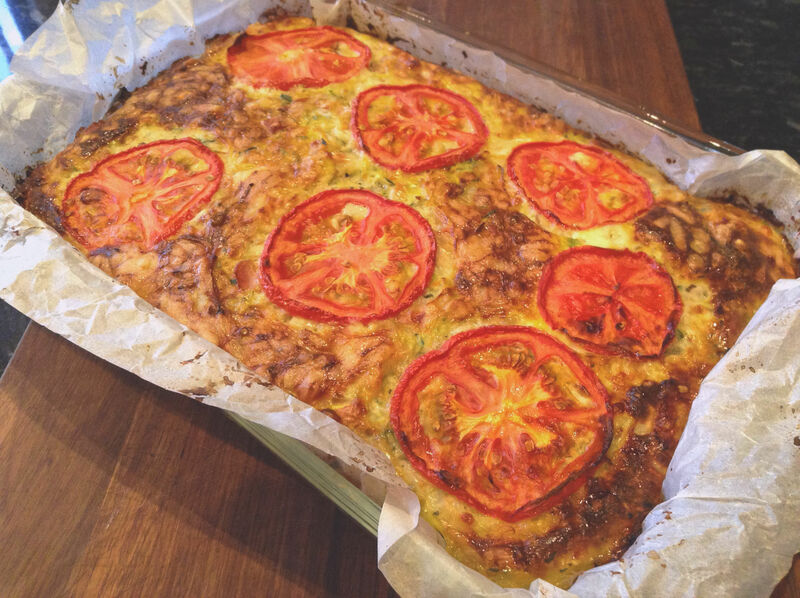 This recipe would have to be one of the nommiest I have come across from one of Australia’s kitchen queens – Donna Hay. Enojoy! Preheat oven to 180°C (350°F). Place the sugar and oil in the bowl of an electric mixer and beat for 2–3 minutes. Add the eggs gradually and beat well. Sift the flour, baking powder, bicarbonate of soda, cinnamon and ginger over the sugar mixture. Add the carrot, pecans and sultanas and mix until just combined. Pour into a greased 22cm-round cake tin lined with non-stick baking paper and bake for 55–60 minutes or until cooked when tested with a skewer. Cool in tin. 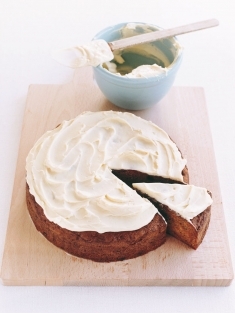 For the cream cheese frosting, process the cream cheese in a food processor until smooth. Add the icing sugar and lemon juice and process until smooth. Spread frosting on the cooled cake. Serves 8. With the morning hovering below zero in Young it has been hard to drag myself out of bed of a morning and when I manage to I am normally greeted by my over enthusiastic dog, coffee and peanut butter toast. While going through the usual morning procrastination about get out of my dressing gown, brushing my hair and plying my face with make-up the other morning. I decided it was simply imperative that I make a soup to greet me when I came home for lunch; and, boy am I glad I did. Arriving home, the smell of delicious soup filled the air. 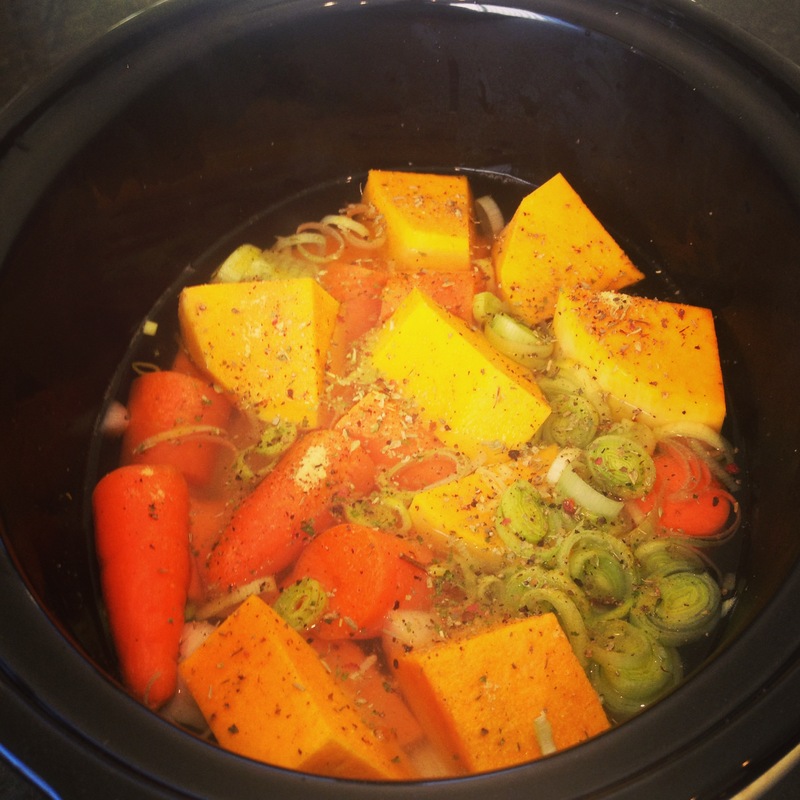 I hurried over to my slow cooker, lifted the lid and knew I was in some kind of soup heaven. So, in summary I suggest that you make this soup for lunch or dinner. You can have everything in the slow cooker and ready to go in under five minutes – yes, I know, it’s crazy quick to prepare. And, if you leave it long enough everything will have collapsed so much that you don’t even need to blend it. 1/2 a butternut pumpkin – I use butternuts as I find them to have a creamier more subtle flavour but feel free to use whichever variety you have on hand. 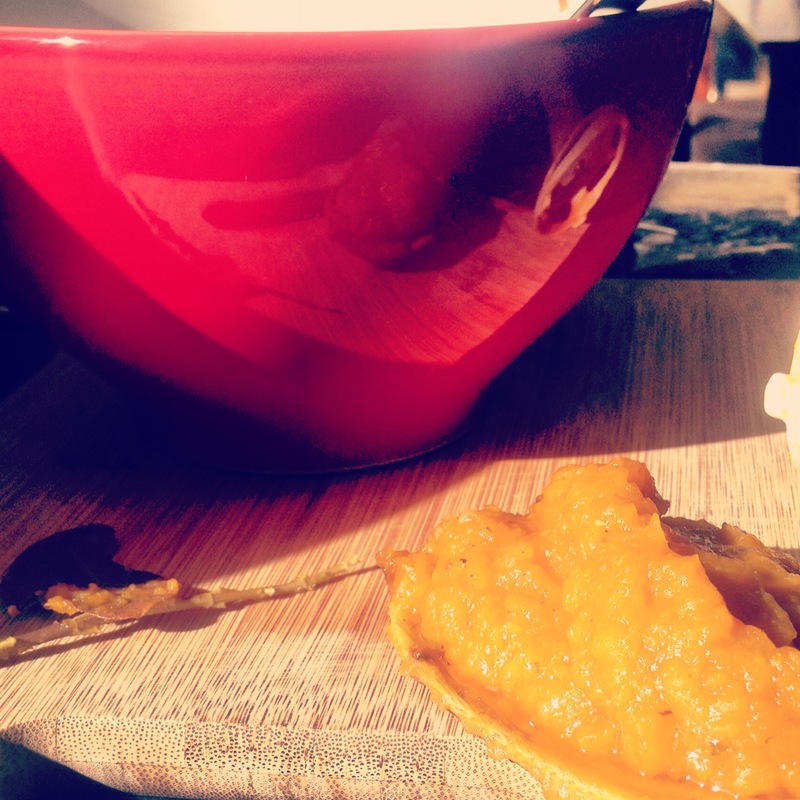 Peel the pumpkin and sweet potato. Cut all vegetables and split peas into chunks and place in slow cooker. Add all spices and stock. Place slow cooker on HIGH if you would like the soup ready in around 3-4 hours or on LOW if you would like it ready in 5-6 hours or more. Uncover – remove rosemary stalks and bay leaves. Taste and add any additional seasoning needed. If you would like the soup to be free of chunks use a stick blender or blender to blend until smooth in batches. Serve in a bowl as is or with sour cream. Tip: if you’d like to give this soup a twist add in a tin of Coconut Milk at the end, stir through and top with coriander leaves.